A gorgeous wire bound journal adorned with the beautiful black art of Keith Conner. 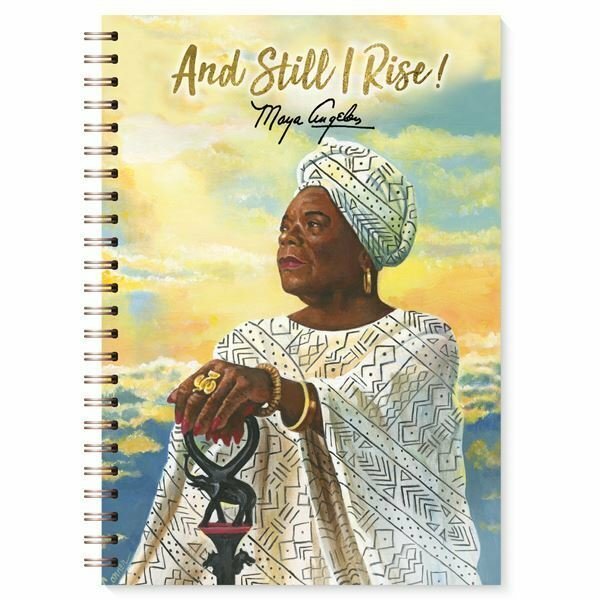 The late Dr. Maya Angelou glows magnificantly in this skillfulful portrayal and is perfectly accompanied by her inspring words, "And Still I Rise." Enclosed in a sturdy, heavy-duty cover and finished in a matte coating, this beautiful journal measures 8.5 x 6.25 inches and has 128 pages. Each page contains Biblical scripture.